Kenilworth Round Table will be holding an open day next week to encourage prospective members to join. The group will meet at the Anchor Inn pub in Leek Wootton on Wednesday August 1 at 7pm before going on a walk to Kenilworth and finishing at a pub at 9pm. Kenilworth Round Table is a voluntary group open to men aged 18 to 45 which raises money for various charities and good causes. Some of the fundraising events it runs include the fireworks at Kenilworth Castle, and the annual Senior Citizens' Party. The group also meet up for social events twice a month and events this year include gliding, a brewery tour and snooker tournament. 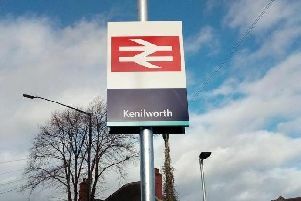 A spokesman for Kenilworth Round Table said: "It’s all about making local friends from all walks of life and having fun trying new adventures whilst also giving back to the community."